Spacious, gracious and well maintained! French Gothic styling from 1899 with many original features! Todays comforts. Picturesque fireplace mantles! Staircase. Extra kitchen on 3rd floor. Garage and courtyard in privacy fenced rear yard. Full usable basement. Loads of storage! Direction: Old Louisville to St. Catherine, between 6th and 7th streets. , Louisville KY 40203 is a Home, with 5 bedrooms which is recently sold, it has 4,262 sqft, 35X125 sized lot, and 1 Car Garage,Street parking. 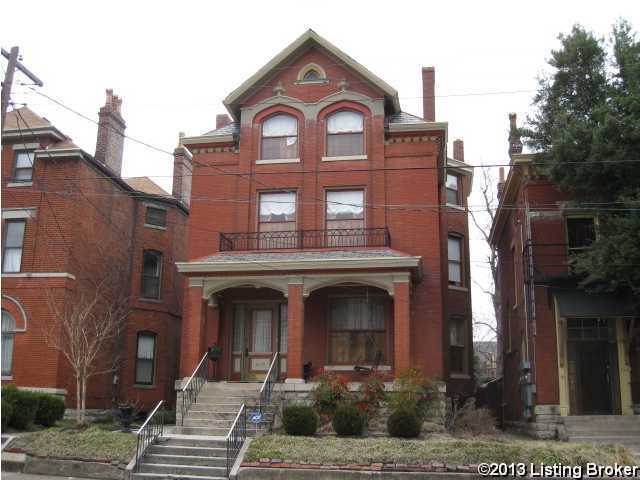 A comparable Home, has 4 bedrooms and 2.5 baths, it was built in and is located at 1217 S 4th St Louisville KY 40203 and for sale by its owner at $ 365,000. This home is located in the city of Louisville , in zip code 40203, this Jefferson County Home, it is in the OLD LOUISVILLE Subdivision, and SHELBY PARK are nearby neighborhoods.